Located in the heart of Pinetop-Lakeside, Arizona, In Bloom Nursery has been serving customers for over 8 years. From do-it-yourself projects to commercial landscaping ventures, In Bloom boasts one of the largest catalogs on the mountain, and local experience no chain can best. Whether you need flowers, shrubs, trees or anything else, In Bloom boasts a variety of hundreds of plants to choose from. Our experts hand select varieties of plants that will thrive in the White Mountains. Speak with a member of our staff for advice on which plants will do best in your area. 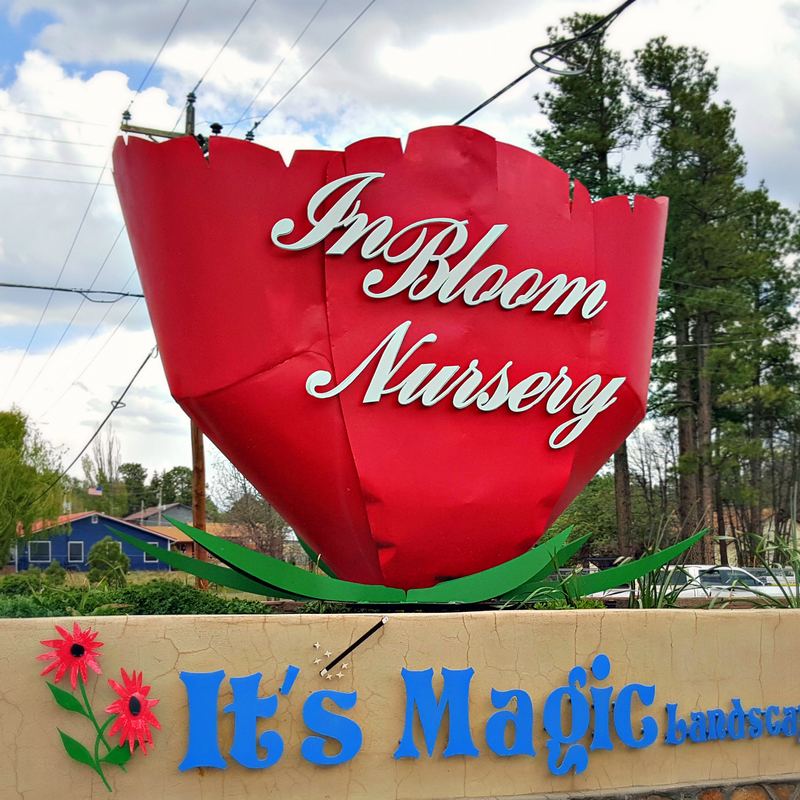 In Bloom Nursery is owned and operated in the Pinetop-Lakeside community. Our experience providing landscaping services in the White Mountains sharpens our competitive edge. In the end, helping our neighbors and friends achieve their landscaping goals remains our first priority. Satisfying all of our valued customers remains the number one goal for In Bloom Nursery. Hear directly from our customers how we were able to help them achieve their landscaping goals! ​1327 E. WHITE MOUNTAIN BLVD.